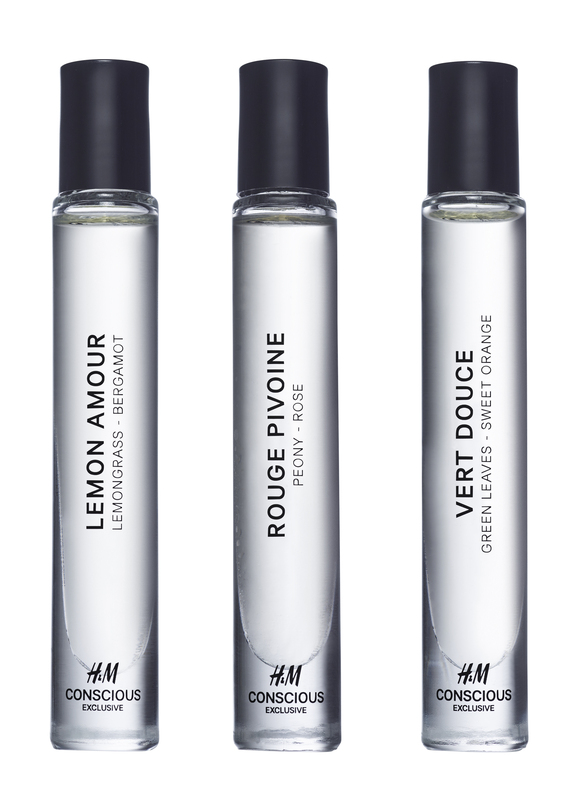 For the first time ever, H&M’s Conscious Exclusive collection includes a set of three organic unisex perfume oils that can be worn individually, or mixed together to create a unique scent. The oils are a part of the 2017 Conscious Exclusive collection which also includes pieces made from more sustainable materials for women, men and kids. The organic perfume oils are created around three different scent groups – floral, fresh and woodsy, and are Ecocert approved. 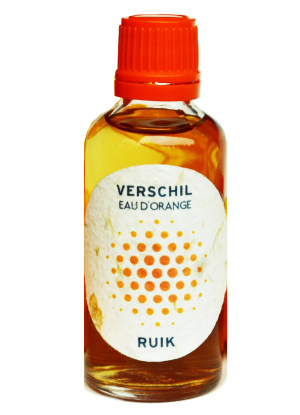 RUIK is a start-up company that is crowdfunding for their sustainable perfume project called “Verschil” (meaning difference). The idea behind is to create a perfume that is 100% natural and on top sustainable, plus handmade. The founder sister and brother are gathering left-over orange peel from different locations and mix it with other plant-based ingredients. Their first perfume is called EAU D’ORANGE. 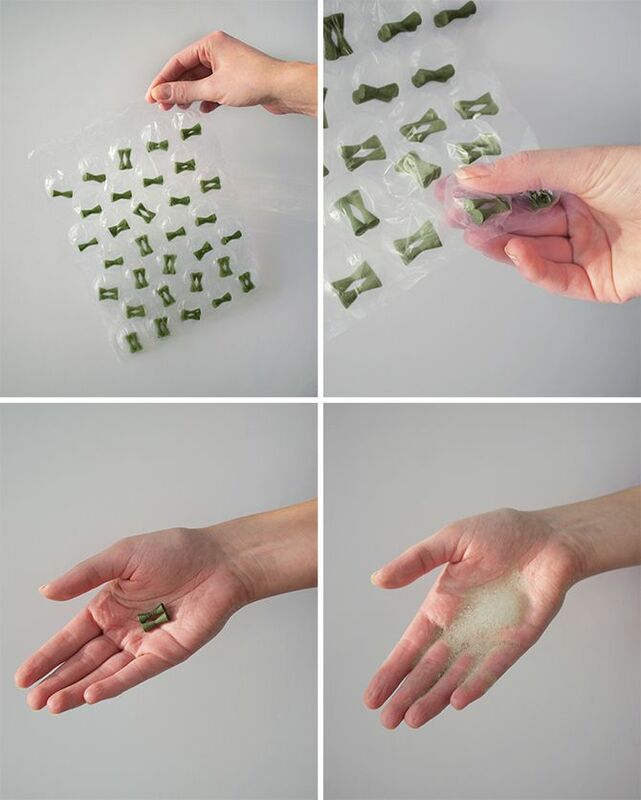 Speaking about sustainability, Ruik also focuses on the packaging: You can either send them your own packaging and let it fill with a 10% discount, or you order their dried orange peel packaging. This is their crowdfunding site. Imagine walking into a restaurant and having to decide between edible or reusable cutlery… That may actually be the case in the near future with reusable and edible packaging ideologies. Bakeys, a company based in India makes cutlery that is meant to be eaten after use. If you do not want to eat it, simply throw it away. 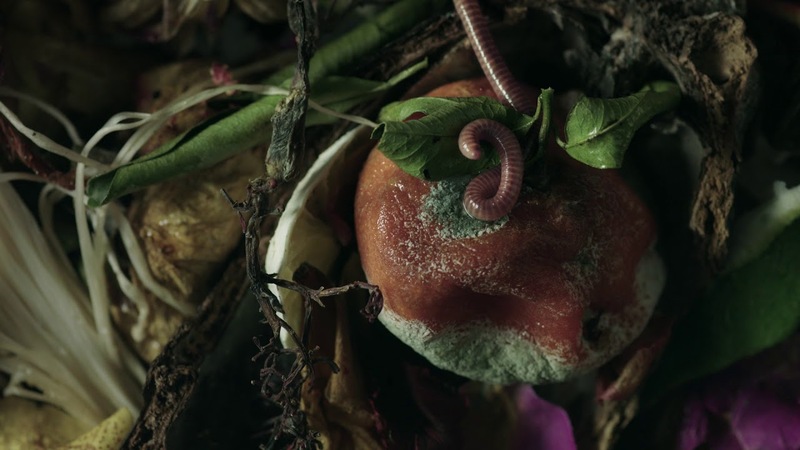 Insects and stray animals will eat them or they will degrade naturally in less than three days. “These are made of flours. 100% natural. 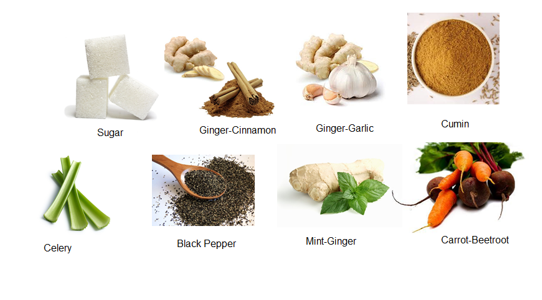 We have tried making them with various flavors”. Edible cups – my childhood dream came true! 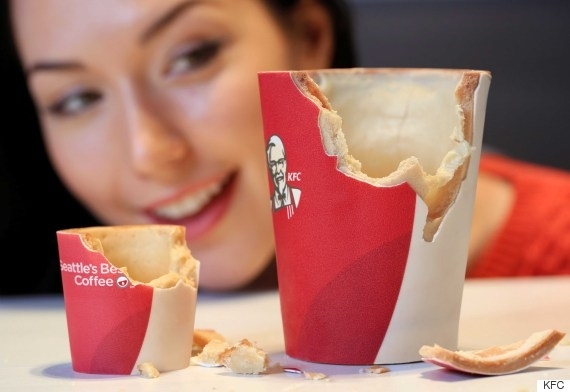 The zero-waste vibe continues… and even KFC plans to introduce the “Scoff-ee Cup”, an edible coffee cup that smells like grass and tastes like chocolate. 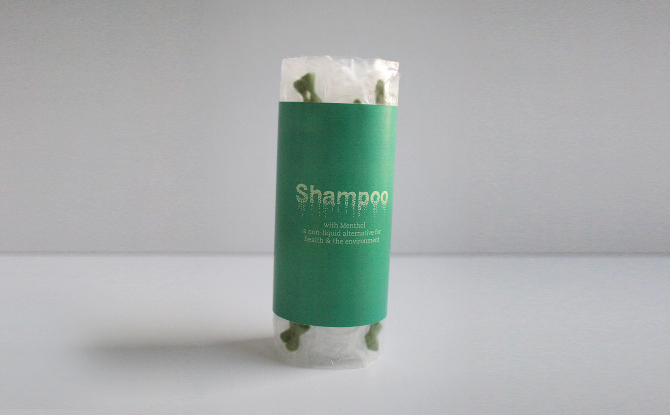 The product is still in the trial phase and will only be available in the UK. According to a KFC press release, the cup “has been made from a unique biscuit, wrapped in sugar paper, and lined with an indulgent layer of heat-resistant white chocolate.” As you drink the coffee in the cup, the white chocolate lining will slowly begin to melt. But it doesn’t end there — “Scoff-ee Cups” are not only edible, they’re also… aromatic! KFC partnered with The Robin Collective, an experimental food company, to infuse the cups with “coconut sun cream, freshly cut grass and wild flowers” scents. Why? 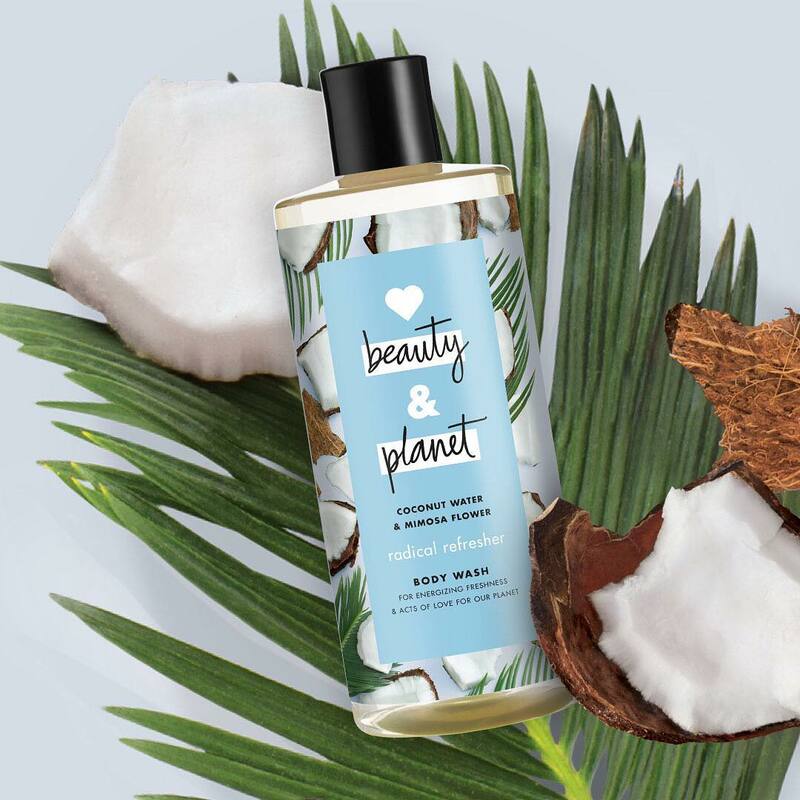 Well, the idea behind this is that these scents “evoke the positive memories we associate with warm weather, sunshine and summer holidays.” Sounds … delicious? Dominique Ansel, the famous bakery chef from NYC, also released The Cookie Shot — a chocolate-chip vessel for cold milk — which got me very excited because it’s like all of my childhood dreams come true! How to clean the ocean while you clean your house ? 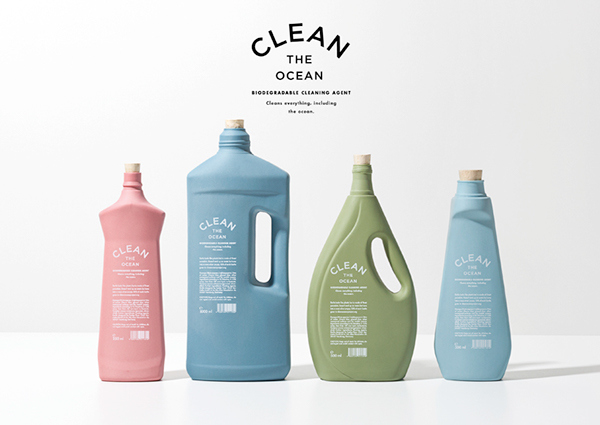 CLEAN THE OCEAN is a biodegradable household cleaner that not only avoids plastic waste, but also helps to remove it from the beaches and the oceans. The cleaner itself has no unique features. But its packaging and its sales idea make it unique: It’s the only household cleaner that also cleans beaches and oceans! 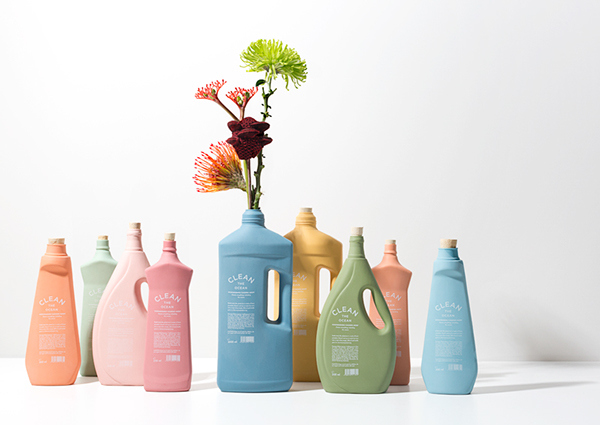 To reduce plastic waste it comes in porcelain bottles that may be used as vases when empty. And a large amount of the revenue goes to the CLEAN OCEAN PROJECT, which removes plastic waste from coastlines and the sea. Agency: KOREFE. Kolle Rebbe Form und Entwicklung. Client: T.D.G. Vertriebs GmbH & Co. KG. Bottle designed by KOREFE and Foekje Fleur. We transport so many beauty care and household products around the world, knowing that they actually contain about 80% of water. This does not really make sense right! 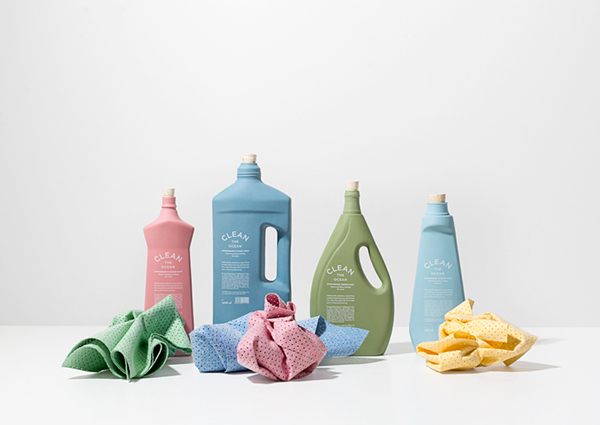 Therefore we see already some developments of concentrated products such as fabric softener, but also cleaners etc. BUT i have to say that when i saw this genious idea, i was double amazed! The industrial design project of Moé Takemura aims to question the current situation, and focuses on developing a concept for dry alternative for existing liquid chemical products. Because we use water anyways when washing our hair… why have it double?